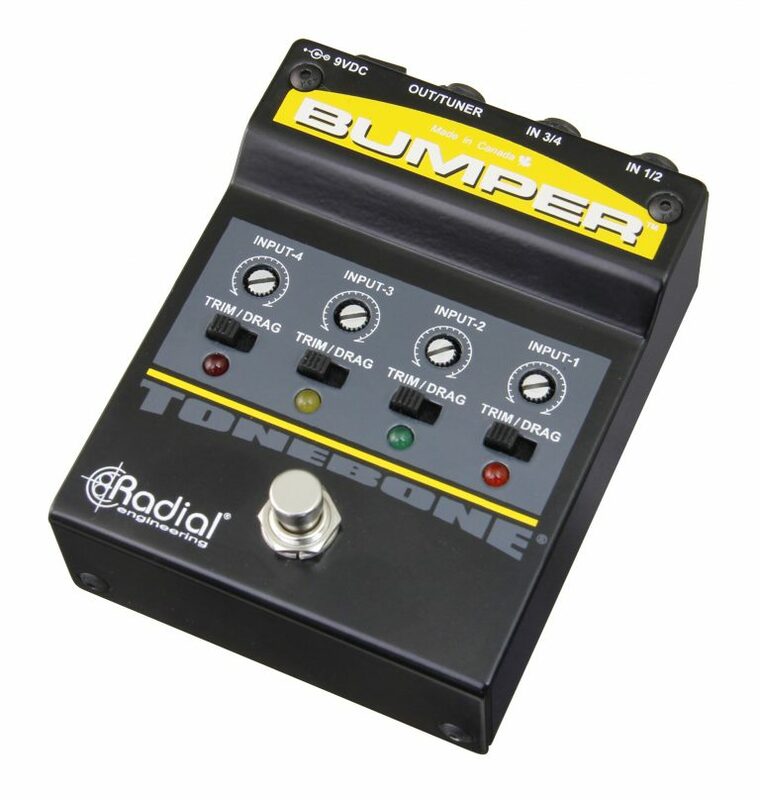 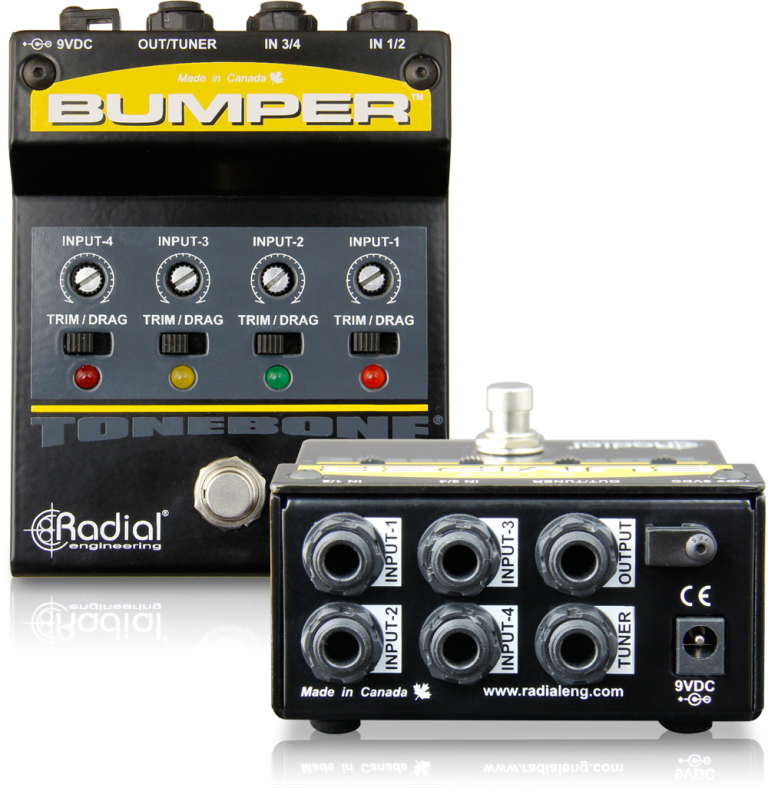 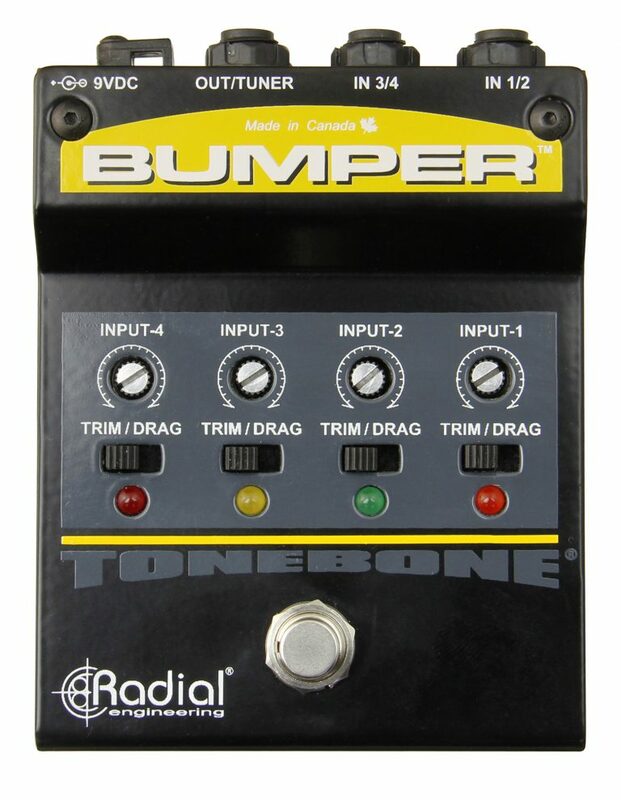 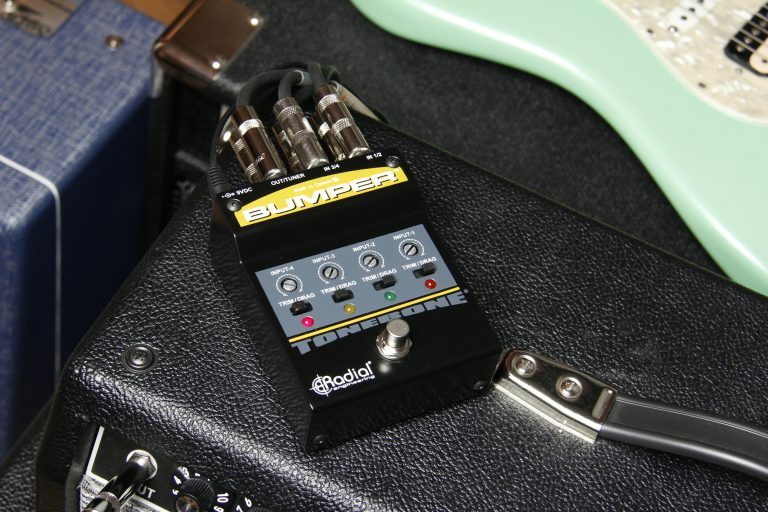 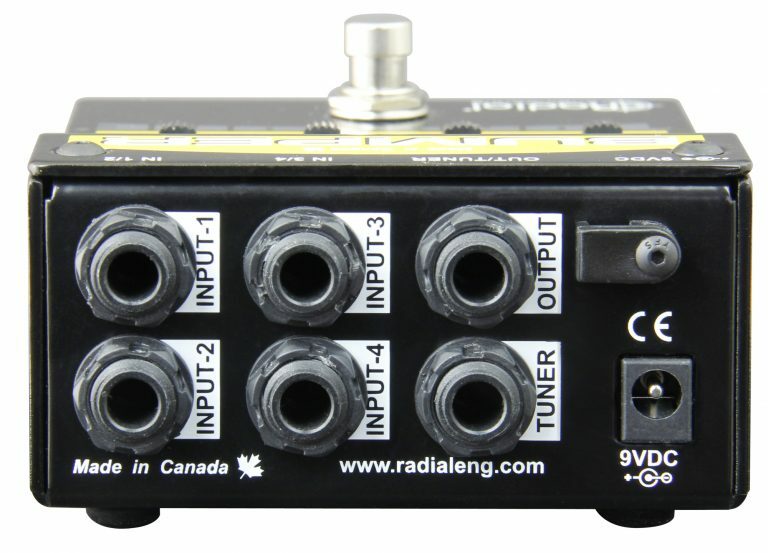 The Bumper routes four instrument inputs to a single 1/4″ output to feed a stage amp or pedalboard, with a footswitch selector that rotates through each of the inputs. 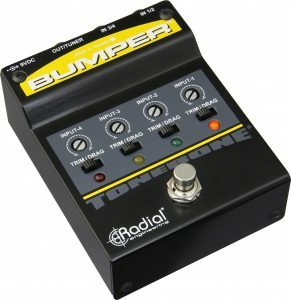 With only three instruments connected, the Bumper will only rotate through these, ignoring input-4. 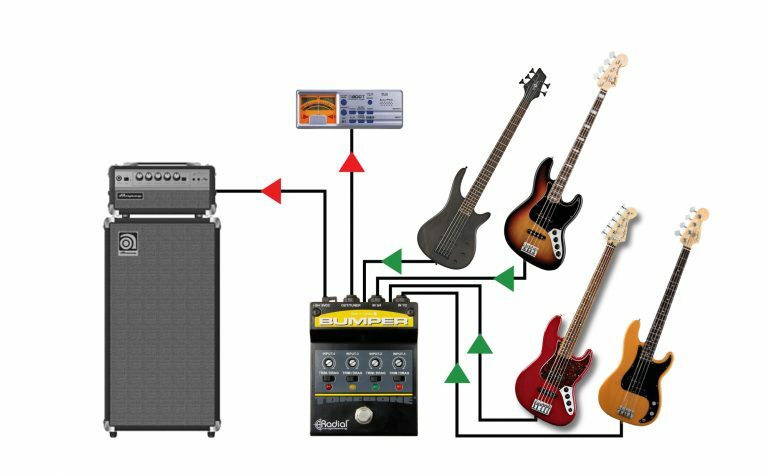 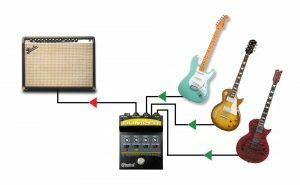 Set the Drag control for each instrument to replicate the tone and feel as if connected directly to your amp. Combine active and passive basses using the Drag control on your Fenders® and the Trim to balance your active 5 and 6 string basses so that they all play at the same level. Add a tuner using the dedicated output. Instantly switch between your dreadnaught, 12 string, mandolin and dobro. 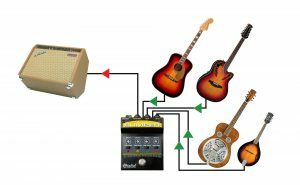 Set the Drag when using a magnetic pickup and then match the rest of your instruments using the Trim controls.